…in Your People, Teams, Leadership and Culture. Thank you for exploring the idea of bringing Tony Dovale into your event or leadership meeting, conference, event or retreat. Tony Dovale is the leading expert on Consciously Constructive High Performance Revolutionary Workplaces. He’s helped develop high performance People, Teams, Leadership and Culture, that deliver exponential impacts and results. His work has been helped companies to 2x to4x their results. He’s been featured in publications, on radio and online extensively. Tony works with clients ranging from local and international Governments, as well as large corporates and High impact SME’s. Tony’s Proven High Performance Philosophy, Framework and CLEARx System, helps People, Teams, Leadership and Cultures, to turbo-charge performance and achieve oustanding results. His expertise helps with research, development, speaking, coaching, consulting, and high performance human capital development. As author of SWIFT SUCCESS, The Consciously Constructive™ Revolutionary Workplace™, he has taken the Human Performance Optimisation platform across the globe. He developed the proven CLEARx™ framework, and helps leaders create a conscious culture that supports P3 – People, Planet & Profit™. The truth is, an investment in Tony’s Information, Consciously Constructive Philosophy Process and Systems, is a vital investment with a solid and positive ROI. One client 4x’ed their performance and results with Tony’s assistance. • Tony has a 40+ year track record with events, workshops, coaching and facilitation. He know what works, how to deliver, and to work with you, to achieve your objectives. Extensive experience, expertise and WISDOM counts in achiveing the desired results. • Let’s Get REAL: Your meeting or event is critical. It’s important that your message and Tony’s role are aligned. Simple “canned stuff” won’t cut it in a high performance VUCA world– Tony’s customized material do. Chat To Tony about his customization process. Read an example of some recent work he’s done. • Tony answers the phone. You can’t get more personalized impact and care than with Tony Dovale – the Speaker With SOUL! – Your meeting, conference or event is a big investment, and you need to ensure Success. If it is a meeting of C-level executives, you’ll likely have millions to tens-of-millions of dollars of talent in the room. In that context, does it really make sense to skimp on fees for an external expert? 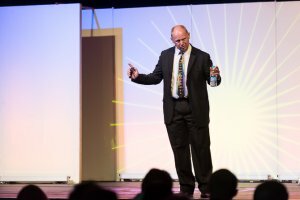 If you have several hundred to a few thousand individuals at your association event, your investment in a keynote or business event speaker is equally important – a keynote speaker sets the tone for the entire event! Value for investment, professiona;lism, expertise and entertainment, is vital. • You might be considering an industry expert or a related vendor who will offer you a presentation for no fee. The Problem is…You could end up with either, a boring lecture, or a ear bending sales pitch. 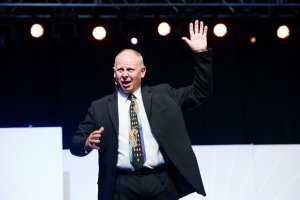 Tony has researched High Performance Mindsets, for decades, over 40 years. What makes Tony so different? Over and over Tony connects and impacts audiences in a way very few speakers can. He’s rated as an engaging speaker, and thought-provoking expert, who create potent mindshifts. The The Revolutionary Workplace CLEARx High Performance system and team works at the highest-level to make sure your event, conference, meeting or retreat is a ROARING success; from pre-event prep to live presentation to post-event support! If your conference, meeting or retreat, is not listed, please contact Tony so we can explore and partner with you to Turbo-Charge your events. Tony’s just a really easy to work with. Reduce Your stress and enjoy your event with a professional! Convinced? Pick up the phone and call Tony now: 011-467-1763 or Mobile 083-447-6300; or fill in the contac form.